Effective removal of stains. Provides fresh odour. Removes stains easily and provides a pleasant fresh scent. The ideal upholstery cleaner for car and household. Cleans down to the fibres and thoroughly all textile fabrics inside the car and in the house such as upholstery, carpets, roof liner and Alcantara. Contains active cleaning substances that penetrate deep into the fabric and remove even the most stubborn dirt, old stains, nicotine, fat and food residues. Shake can well before use. 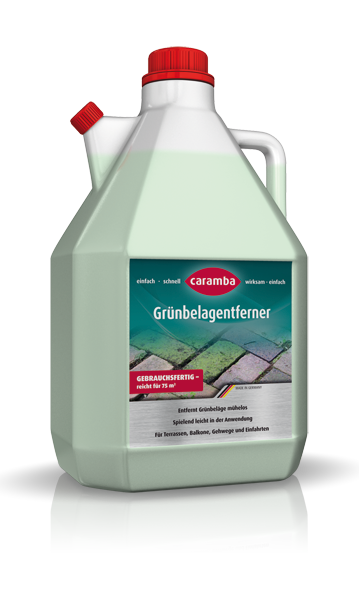 Spray Caramba Upholstery Cleaner on the surfaces to be treated, spread with a wet cloth and wipe dry using a dry cloth. For upholstery and carpets: Spray on cleaner, rub with moist sponge from outside toward inside, allow drying or soaking and vacuum off dissolved dirt. Repeat in case of persistent soiling if required. Check the colour fastness of the upholstery on a hidden spot! For glass: Spray, spread with moist sponge or cloth and rework with leather cloth and wiper. Suitable also for strongly sloped glass surfaces. Do not spray on synthetic glass of instruments in car! On plastics or smooth leather: Spray, spread with moist sponge and rework with dry cloth. Repeat cleaning on tough stains, if necessary. Attention: Check for discolouration at inconspicuous location! Not suited for full-grain leather.